Hardy Geraniums, commonly known as Cranesbill are a great perennial for landscape borders or ground covers in rock gardens. 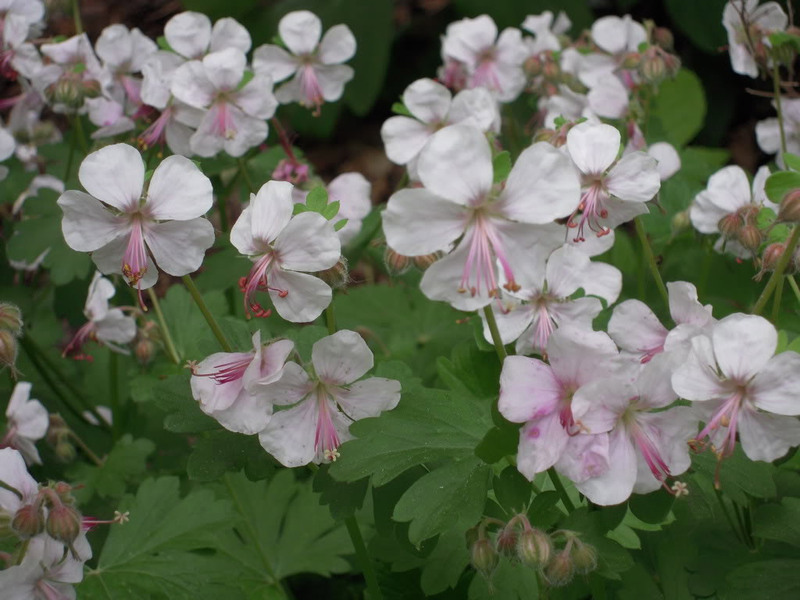 Cranesbill have a long flowering period, blooming in late spring and on/off all summer. 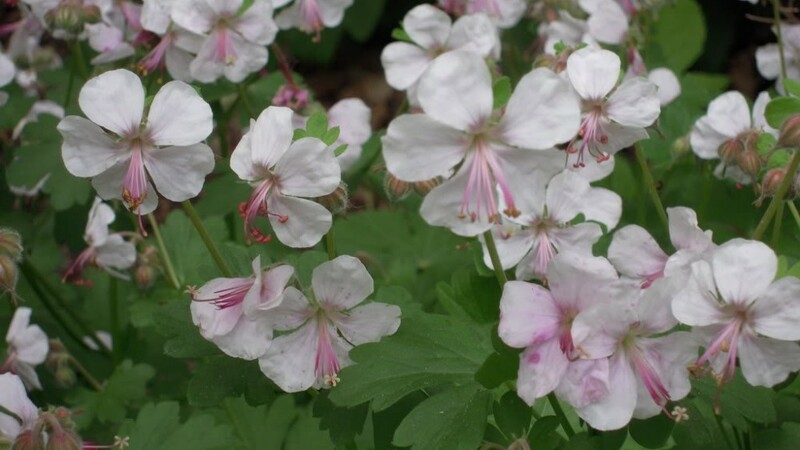 The ‘Biokovo’ variety has masses of delicate pinkish- white blooms with dark pink centres. ‘Biokovo’ , also has very fragrant glossy green foliage that transform to a gorgeous reddish-orange in the fall. Once established, ‘Biokovo’ is a low maintenance and low growing perennial. Be sure to check out 2015’s Perennial of the Year!